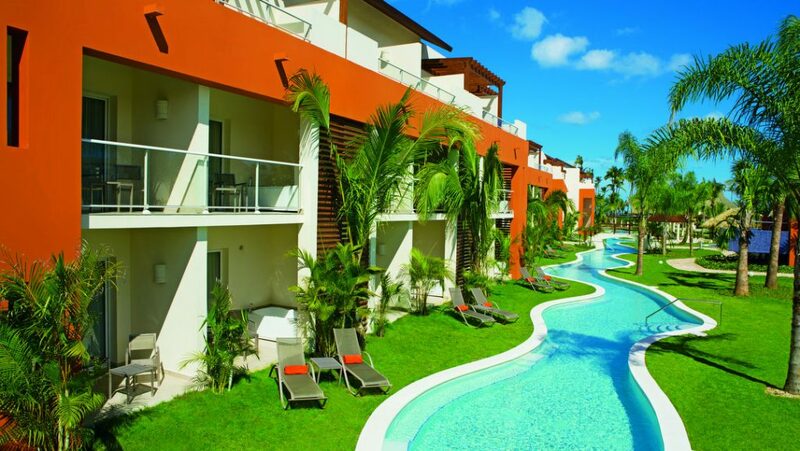 The choice of all-inclusive resorts in Punta Cana is tremendous. Around 65 resorts are nestled along the mile-long white sandy beaches of Punta Cana, all offering plenty of entertainment, tropical paradise feeling, large pool areas and sumptuous food. But which resort is the right one for you? 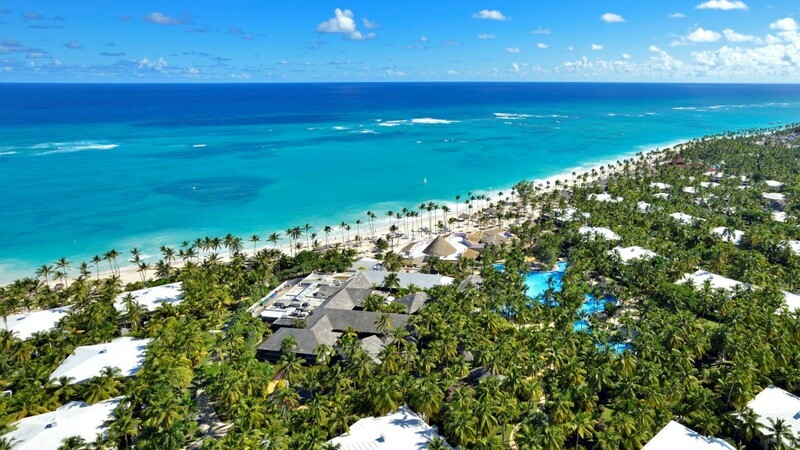 What to take care of when looking for an all-inclusive resort in Punta Cana? How do you find the best hotel for your vacation in the Dominican Republic? 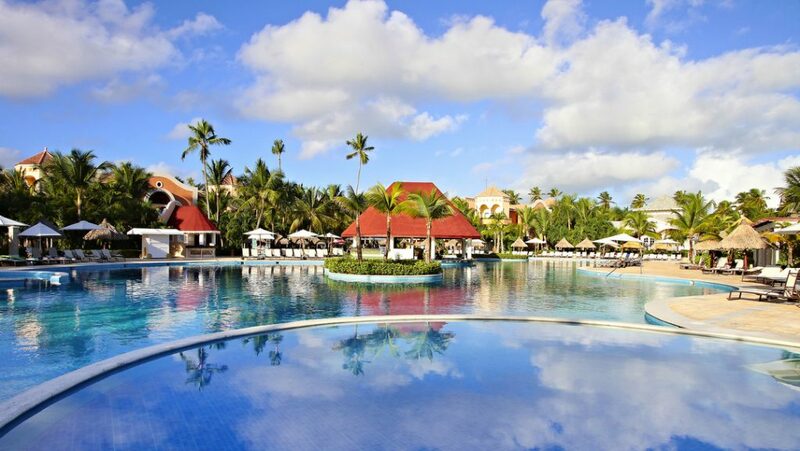 Let us explain you a few basics about the difference of all-inclusive resorts in Punta Cana. If you are – after reading this blogpost – still undecided which accommodation to choose, please feel free to contact our travel experts right in the Dominican Republic, who have already stayed at more than 25 all-inclusive resorts and visited 20 more. First of all, you should know your budget. There are huge differences between the cheaper all-inclusive resorts along the Punta Cana beaches and the high-end options in Cap Cana, an exclusive community south of Punta Cana. Some very affordable resorts, such as Be Live Collection Punta Cana, Natura Park Eco-Resort & Spa or Tropical Princess Resort already start at around 70 USD per person per night, while high-end options such as Zoetry Agua Punta Cana or Sanctuary Cap Cana easily ask for 300 USD per person per night. Of course, the difference in quality is enormous, but the good news is that there are basically no really bad resorts where you absolutely shouldn’t go (as long as you don’t expect 5-star luxury when paying just for 3-stars). Insider tip from Dominican Expert: ask our travel experts for the all-inclusive resorts with the best price-value ratio and special promotions when looking for an accommodation in Punta Cana. Besides your budget you should determine which type of resort you are looking for. Are you travelling with a family and would like to spend your Caribbean holiday in a family-friendly all-inclusive resort, such as Memories Splash Resort or The Reserve at Paradisus? 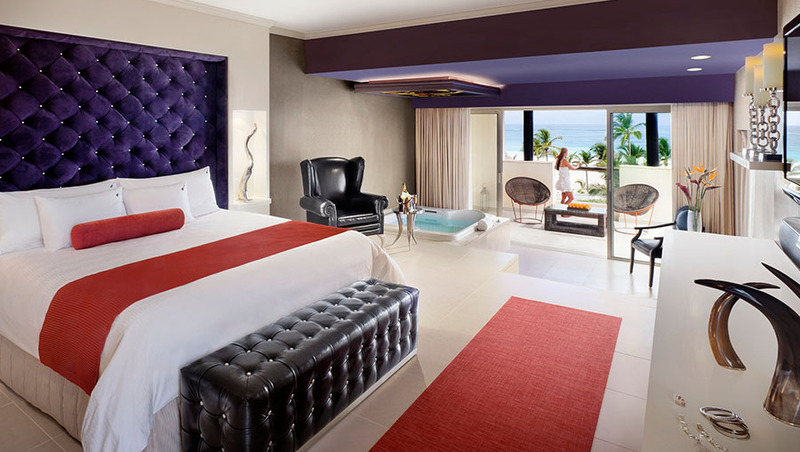 Or do you prefer an adults-only resort such as Secrets Royal Beach or Barcelo Bavaro Beach? Or would you like to dance the night away, then you should consider CHIC Punta Cana or Breathless Resort? Insider tip from Dominican Expert: this is where our travel experts can help you with, as they know the characteristics of the different all-inclusive resorts in Punta Cana (and the whole Dominican Republic). Hotel properties vary incredibly between 15 and 250 acres. While you can walk to the beach from every point of the property in two minutes in small all-inclusive resorts such as Zoetry Agua or Occidental Caribe, in some large resorts such as the Bahía Principe complex or the Melía Caribe Tropical you might need more than 15 minutes to walk from A to B (which is good if you like exploring). While the size varies considerably, the location usually does not. 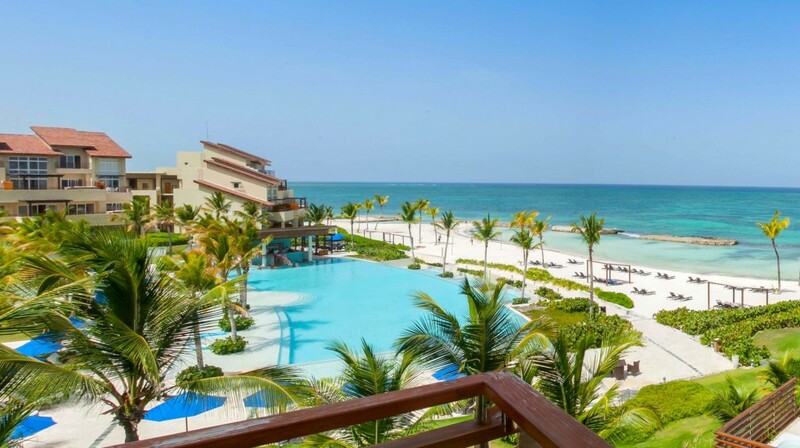 All all-inclusive resorts in Punta Cana (and Bayahibe, Samaná, Puerto Plata and the whole Dominican Republic) are located at the beach, even in some occasions you might have to pass the sister property to get to the beach – for example at Grand Bahía Principe Punta Cana or Grand Memories Resort. The only difference in location is determined by the area where the resort is located – which shouldn’t bother you much if you plan to stay in the resort for the whole vacation or only do organized excursions. All hotels in Uvero Alto, Macao, Arena Gorda, Cabeza de Toro and Cap Cana are located quite remote. Beaches are emptier, but if you leave the resort you definitely need a taxi to go anywhere. If you stay right at Bavaro Beach, for example at Now Larimar or the Palladium complex, you can leave the property and have some Dominican local life next door. Insider tip from Dominican Expert: if you stay in an all-inclusive resort and still would like to explore the beautiful Dominican Republic, you can book a rental car with us or one of our several packages to get to know the country. Don’t be confused by all those “5-star-resorts”. 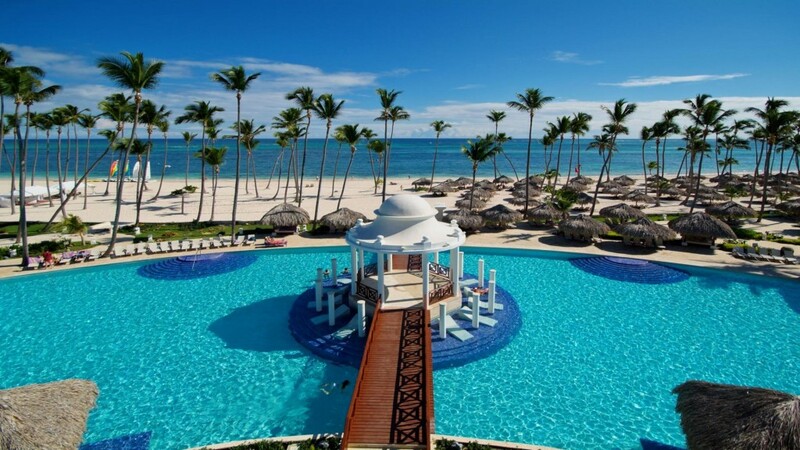 The Dominican Republic doesn’t have an official star rating, that’s why most all-inclusive resorts in Punta Cana give themselves 5 stars, doesn’t matter if it is a budget hotel (such as Be Live Collection Punta Cana or Natura Park Eco Beach Resort & Spa) or a luxury retreat. To better understand the quality of each resort, it is better to trust on your travel agent or independent review websites. Insider tip from Dominican Expert: we have created our own star rating based on our experiences and our knowledge of international hotel quality. Most budget all-inclusive resorts are only rated with 4 stars with us, while a few of the top-end hotels even receive a 6-star-rating. 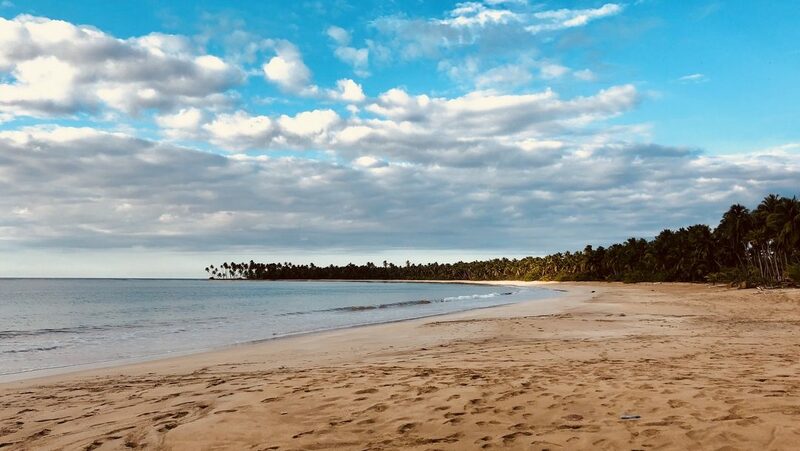 A Dominican Expert five star rating is your best bet for worry-free and high-quality vacations in the Dominican Republic. The saying “The way to a man’s heart goes through his stomach” can also be changed to “The way to a traveller’s heart goes through his stomach” – at least for most of us. That’s why it is important to pick a resort with some great food. First of all, there is plenty of decent food in basically all all-inclusive resorts in the Dominican Republic. Even the budget hotels prepare good food, but it might lack some special touches and surprises after a few days, so investing a little bit more travel budget in a mid-range or high-end resort goes a big way in terms of food quality. Some of the best all-inclusive food we found so far was at Paradisus Palma Real and Excellence El Carmen. Besides knowing what you would like to eat it is also important to know the way of dining – do you prefer buffet or à-la-carte? 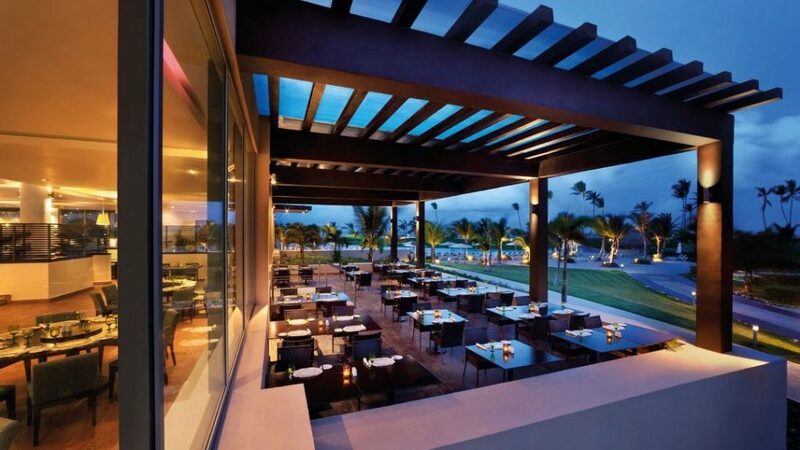 While basically all all-inclusive resorts in the Dominican Republic have their buffet restaurants open at night (a few exceptions exist, such as Viva Wyndham V Samaná on the Samaná peninsula for example), usually the à-la-carte restaurants make the difference. Resorts handle their à-la-cartes very different, from AM Resorts allowing you to dine as much as you want without reservation, while many other resorts require reservations – which are not always possible to get for each evening, especially in lower budget hotels. Insider tip from Dominican Expert: reservation-free dining is the best solution in our opinion even you might have to wait a bit to get a table. Just grab a pre-dinner drink to beat the time and enjoy your Caribbean vacation. Talking about F&B, drinks are also an essential part of most all-inclusive vacations in the Dominican Republic. Or who does not enjoy an ice-cold drink while basking in the sun and enjoying the pool or beach view? If your favourite drinks are beer, soft drinks or juices, you should be fine in any all-inclusive resort, as most bars are serving tap beer from Presidente, the national beer of the Dominican Republic. With regard to cocktails, usually a mid-range or high-end resort also means better cocktails compared to some budget hotels. If it is important for you to drink premium alcohol, hand-crafted cocktails and really good drinks which could compete with a regular bar in town, it is better to book a premium resort such as The Level at Melia Caribe Tropical or one of the AM Resorts (for example Dreams Punta Cana) who are all offering premium spirits throughout the resort. Insider tip from Dominican Expert: when asking for a drink, always tell the bartender which type of alcohol you want. Even in some premium resorts, very cheap alcohol is used if you don’t ask for a specific one. Besides the “3S” (sand, sea and sun) many people travelling to the Dominican Republic are also looking for party. 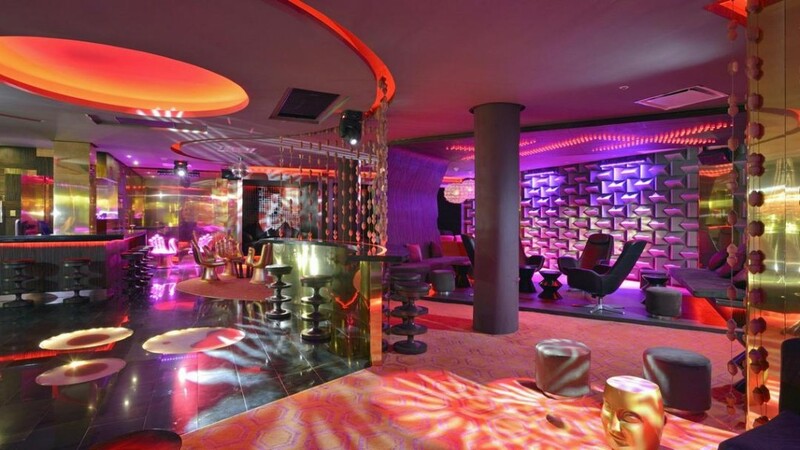 While each hotel has a (usually poorly visited) hotel disco, there are two resorts which are leading in terms of elegant party and enhanced nightlife: Chic Punta Cana and Breathless Resort. You have plenty of themed nights, creative parties, live DJs and a fairly young, but sophisticated crowd. This comes along with some good quality food and very modern rooms, so that these resorts are the best bet if you are not travelling on a notoriously low budget and would like to party in style during your vacation in the Dominican Republic. 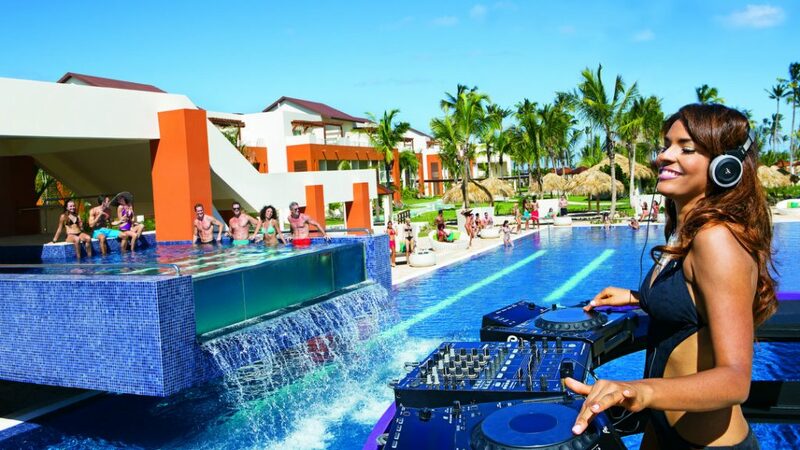 Other resorts such as Hard Rock Punta Cana and Tropical Princess Resort have discos also open to the public, which tend to be more crowded and active, but in those cases drinks are usually not included. Insider tip from Dominican Expert: if you would like to venture out to the off-resort nightlife in Punta Cana, ask our travel experts for the best recommendations (or for Tickets to Coco Bongo). Besides their standard room category, basically every all-inclusive resort in the Dominican Republic offers a VIP room level which comes with extended amenities, among them premium alcohol, a VIP lounge, a private pool and a separate beach area. A lot of further services are usually added to make your stay as comfortable as possible. While this VIP level is certainly nice to have, ask yourself if it is worth the extra money. In some resorts those upgrades are starting from 20 to 30 USD per person per night, but other properties charge up to 100 USD per person per night to get a VIP level room. Besides being a professional tour operator, Dominican Expert is one of the most renowned destination wedding companies in the country. This is valid for individual wedding ceremonies at pristine beaches throughout the country as well as beautiful weddings at all-inclusive resorts in Punta Cana. If you plan to have a destination wedding, pick those properties with the most attractive wedding package such as Dreams Palm Beach or Iberostar Bavaro Suites. 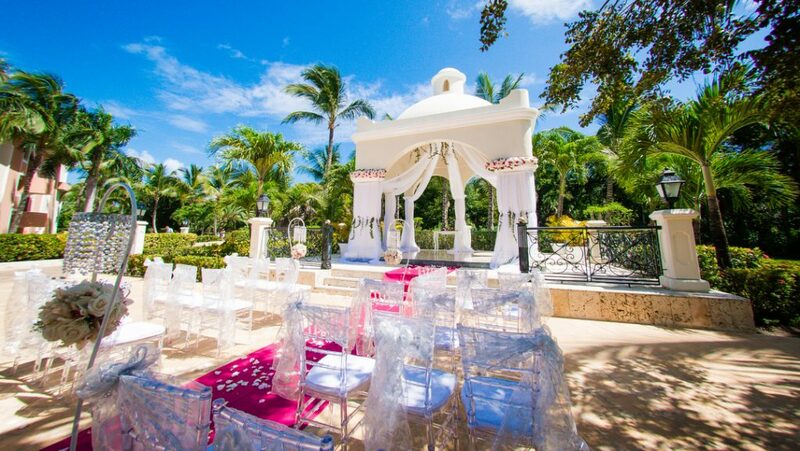 Insider tip from Dominican Expert: there are hundreds of wedding packages in Punta Cana. Get help from our professional wedding planners and let them pick you the best combination of a beautiful all-inclusive resort and an attractive wedding package for your destination wedding in Punta Cana.